New Home Office figures (8 November 2018) expose that, as well as the 3.72 million animals who were used in scientific procedures in Great Britain in 2017, another 1.81 million animals were bred for scientific procedures, but either died or were killed before being used in experiments. Little is known about what life is actually like for each of those animals in a laboratory due to the secrecy surrounding the controversial testing. Back in July 2017, Naturewatch Foundation responded to the initial report ‘Statistics of scientific procedures on living animals, Great Britain 2017’ and the horrifying figures which disclosed 3.72 million live animals were used for scientific purposes. This number included 2496 dogs, 71 cats, 288 equines, 2215 primates, the vast majority being highly sensitive mice, zebrafish and rats. The figures ‘used in science’ have now risen by a further 1.8 million animals. 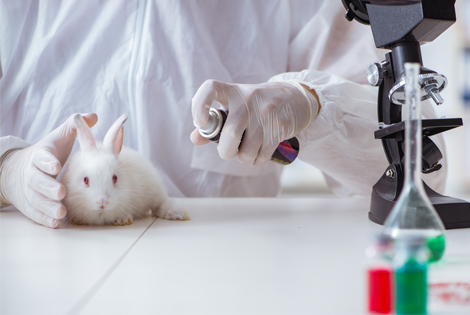 Naturewatch Foundation continues to call on the government to urgently begin the process of repealing section 24 of the Animals (Scientific Procedures) Act so the British public can finally be truly informed about animal experiments. Section 24 – the so-called ‘Secrecy Clause’ - makes it an offence punishable by up to two years’ imprisonment to disclose certain details about the use of animals for scientific procedures, even if the researchers carrying out the procedures want it to be known. Join Naturewatch Foundation in calling on the Minister of State with responsibility for animal experiments to urgently begin the process of repealing section 24 of the Animals (Scientific Procedures) Act so the British public can finally be truly informed about animal experiments.